How to book a flight to iran ? We would introduce the airlines to Iran, the cheapest ones, the luxurious ones and also the common flights. Or you will inform us about your flight time number and then the leader will pick you up from the airport and your tour plan will be started. You can also use Iranian airlines instead of foreign ones. There are many advantages for using Iranian flights like flying in proper times, having direct flights and shorter flight times. Proper times means that the time of your arrival and departure would be matched with Iranian time. Anyone is aware of the problems that can happen in transfer connection flights and the issues that might happen during the waiting hours in the airports, so using the direct flights is recommended. Moreover, there are flight offers given to travel agencies that you can send your request to us and we will take the ticket for you. It is good to mention that if there is any domestic flight in the tour plan, we would book the ticket for you. Even if you want to go to another city of Iran, you can ask us to take the cheapest flight for you. You can choose your flights among the famous Iranian international airports like Isfahan, Shiraz etc for your comfort. It is very comfortable for you to find cheap flights to and from Tehran. This way you will have a direct transfer and don't have to spend a lot of boring hours at the airports waiting for next flight to your destination. After the sanctions against Iran, we have direct flights every day to many European and Asian countries. International flights from Imam Khomeini airport has reached to 240. There are plenty of websites which offer you cheap flights from first to economy and business class. With some searching, you can find cheap and nice flights to any city with an international airport in Iran. We can give you some recommendations and help you to make a perfect decision. If you need help, we are at your service. We would help you in finding both international and domestic flights. There are 18 domestic airlines in Iran which give services to both Iranian and foreign passengers. More than 10 direct flights from/to Tehran are available every day to provide tourists comfortable trip. Iranian airlines have every day flights according to your time and priority. IranAir airline has at least two permanent flights to places like Frankfurt Germany, London England, Vienna Austria and lots of other places. 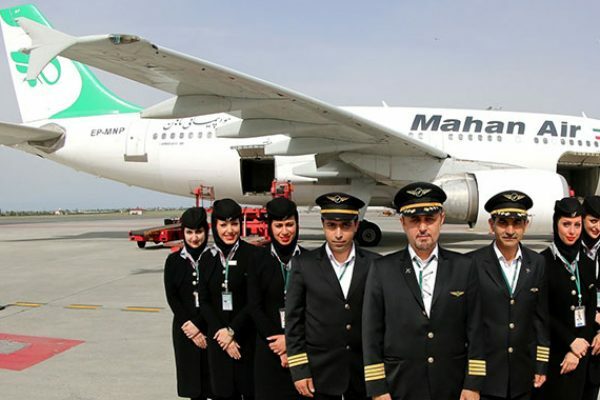 MahanAir also has different flights that you can check for the proper times and prices.